Rialto, CA (9/20/2018) - ACE Motorsports drivers Laura Cole and Brian Willison recorded a pair of victories during the WORCS Series SXS races at Glen Helen Raceway in Devore, CA. They also made sure they would be a “pair” in the future during the weekend. Cole led the way with a win the SXS Women’s class that was made even more special at the finish line. At the finish, Willison’s friends and family held a series of letters spelling out “Laura Will you Marry Me?” and Cole accepted. It marked Cole’s first win of the season, which couldn’t have come at a better time. 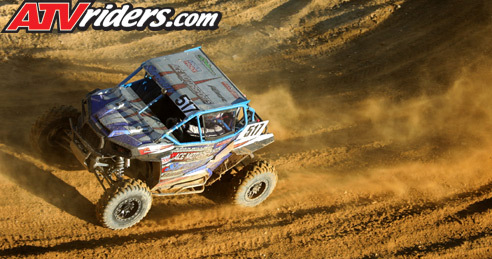 Cole was driving a newly rebuilt Polaris RZR in the events. 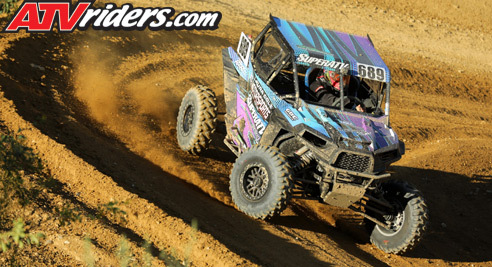 It featured Super ATV Rhino 2.0 axles and suspension components, a new Bassani exhaust, Holz Racing Products kit, and a new wrap by Gator Wraps. Cole also raced the car in the Production Turbo 1000 race to shake it down for the Women’s race. Willison scored his first victory of the season in the SXS Production Turbo 1000 race. Willison was also racing a newly rebuilt car and it ran flawlessly during the race. The win places him second in the title chase, just four points out of the lead. 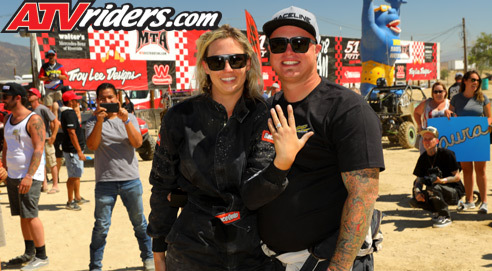 Willison was happy to solidify his relationship his three year relationship with Cole by proposing at the place they enjoy most: the race track. It marked the first on-track marriage proposal in WORCS history. Cole and Willison will next head to Mesquite, NV for the second-to-last round of WORCS competition October 5-8. The event is being held at Mesquite MX.